A beautiful backyard with a relaxing and calming atmosphere is every homeowner’s dream. Many think they need a huge space or budget to create a backyard oasis but this is not true. In fact, you can create a lovely landscape design with these budget-friendly accessories and helpful tips. Music can transform your usual space into a calming, cozy place instantly. Just imagine your favorite mellow song playing in the background while you sip your coffee early in the morning after waking up, or your wine late at night. There are many ways to bring music into your space. It can be as simple as a single wireless speaker, or as elaborate as a whole speaker system. Whatever the case, music can help change the vibe of your backyard. Adding warm tones in your backyard through the help of strategic mood lighting will help you achieve the backyard of your dreams. A typical patio design will have some kind of artistic lighting that will help set the mood. If anything, avoid using harsh, bright-colored lights since they can easily become a distraction. Choose lights with warmer tones to give that romantic mood – perfect for relaxing. Even inside your home, areas that are mostly used are areas with soft couches and comfortable seating. Therefore, it only makes sense to bring this concept outside so you and your visitors can enjoy the outdoors. This area can also double as your outdoor living room when a large number of guests come over to your home during special occasions. There are so many other ways to spice up your plain backyard so it can turn into a lush, cozy backyard oasis – an asset to your home. 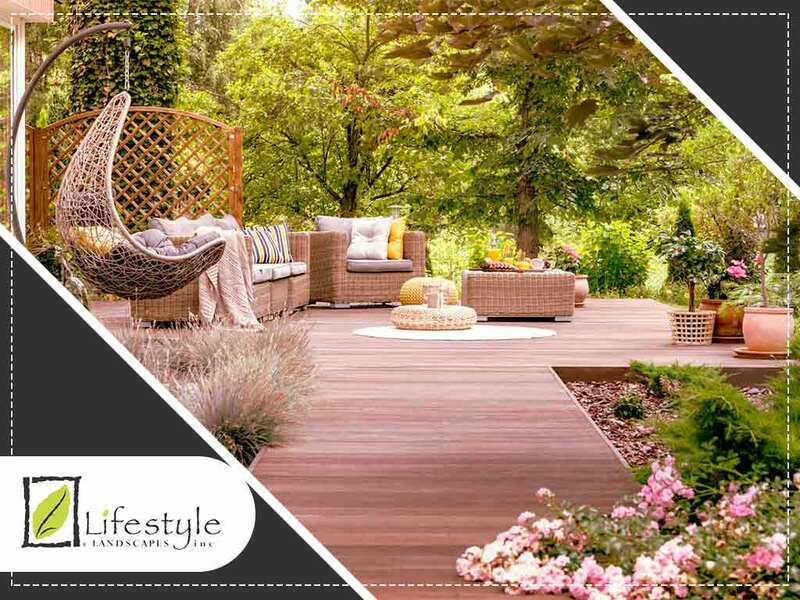 If you are looking for professional landscapers that can help you build a beautiful outdoor space for your Seattle home, contact us at Lifestyle Landscapes, Inc. today. Our number is (206) 899-1444.